The excellent terrainaholic was at Gen Con 2016 capturing some interviews on video for his wonderful YouTube channel (subscribe here) so I thought I'd share some of his vids with everyone for Wargaming Wednesday. 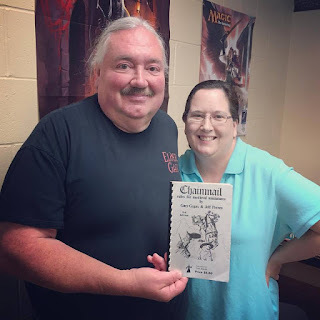 First up, a video with Kevin Cabai of the Historical Miniatures Gaming Society Midwest chapter. Enjoy! Next up, Mario from Mats By Mars.